A summer of conferences from Stockholm to Des Moines provided me with opportunities to talk to new audiences about the under-recognized threat of crop diseases and 2Blades’ efforts to thwart them. ﻿Moreover, it allowed me opportunities to hear from and connect with others who share the goal of creating a sustainable future to nourish the world’s growing population. These conferences focused on a range of themes from crop disease, to technology, climate change, the global food system, and the future. Together they placed 2Blades' work on crop disease into this broader context. Dr. Diana Horvath speaking at this year’s annual EAT Forum in Stockholm, during a panel discussion that addressed the question - ‘What does the future of smallholder farming look like? ’. L-R, William Moore, Dr. Bing Zhao, Norah Asio Ebukalin, Dr. Diana Horvath, John Cordaro, and Ertharin Cousin. Read more and watch the panel discussion . Here is my top ten list of most important messages. Spoiler alert! All confirm that crop disease is a serious and increasing threat to agriculture, and we need to do more to get solutions into the hands of farmers. For 2Blades, the take home message is "press onwards!". You know it's never been easy. Better quantitative data on the losses caused by the most significant diseases of five major crops have recently been collected. Most of us in the field have relied on 20 year old data on crop loss estimates, making this a much-needed contribution. The new data show that the greatest losses occur in Sub-Saharan Africa and northern regions of the Indian subcontinent. Among the worst diseases are the maize stalk rots, potato late blight, and soybean and wheat rusts – all diseases 2Blades has taken on. Fungal diseases are increasing in severity and scale, and warming temperatures are contributing to plant pathogens moving towards the poles. We are teaming up with the Chicago Council on Science and Technology to co-host a screening of the documentary Food Evolution . The film, narrated by Neil deGrasse Tyson, analyzes the role science and technology has the play in the future of the food system and explores the impact of transgenic crops from Hawaiian papaya groves to banana farms in Uganda to the cornfields of Iowa. The screening will be followed by a panel discussion featuring the film's director, Scott Kennedy, Diana Horvath (2Blades), Katie Pratt (Grand Prairie Farms, IL), and Alesha Black (Chicago Council on Global Affairs). 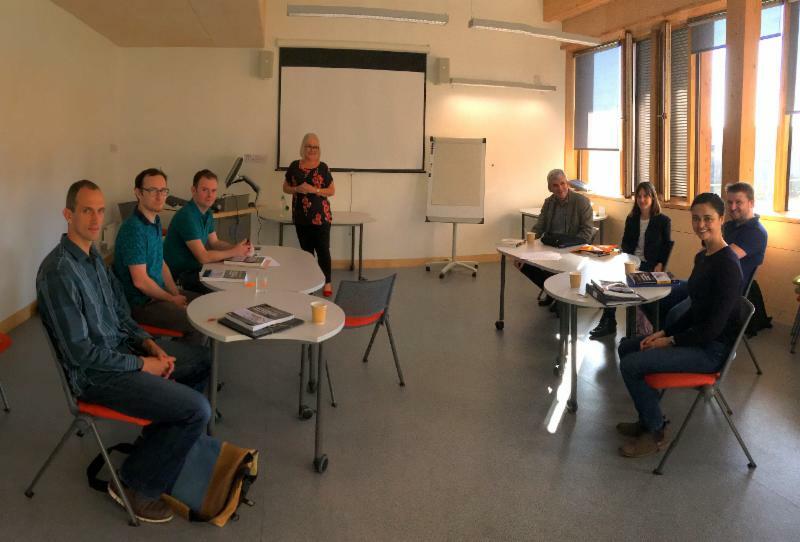 Following its successful pilot in 2015/16, the 2Blades Masterclass returned to The Sainsbury Laboratory (TSL) in September for its second session. Typical scientific doctoral and postdoctoral programs focus solely on scientific training without any emphasis on the skills needed for scientists to flourish in non academic environments. Through the Masterclass, 2Blades trains the next generation of plant science leaders and entrepreneurs by equipping them with management and business skills necessary to translate research into applications that solve real world problems. Masterclass in session: the 2018 cohort, including 2Blades Group members Dr. Brian Rigney, and Dr. Cintia Kawashima discuss principals of leadership and management with Steph Allen from the Institute of Leadership and Management. 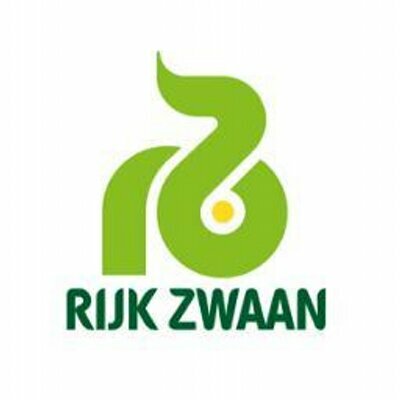 After a competitive application process, five postdoctoral research associates from TSL were selected through external review to participate in this year's Masterclass along with two representatives from corporate sponsors, Dutch seed companies Enza Zaden and Rijk Zwaan. Over a period of 6 months, the students will gain experience in topics such as project management, communication, intellectual property management, finance, and leadership in seminars led by entrepreneurs and experts in these fields. The class helps students develop skills that will allow them to pursue their ideas for start-up businesses or embark on successful careers outside of academia. 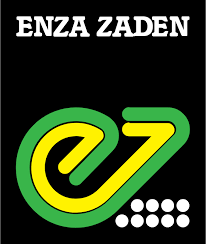 We are grateful to Enza Zaden and Rijk Zwaan for their generous support that enables us to convene this Masterclass with input from experienced industry leaders. 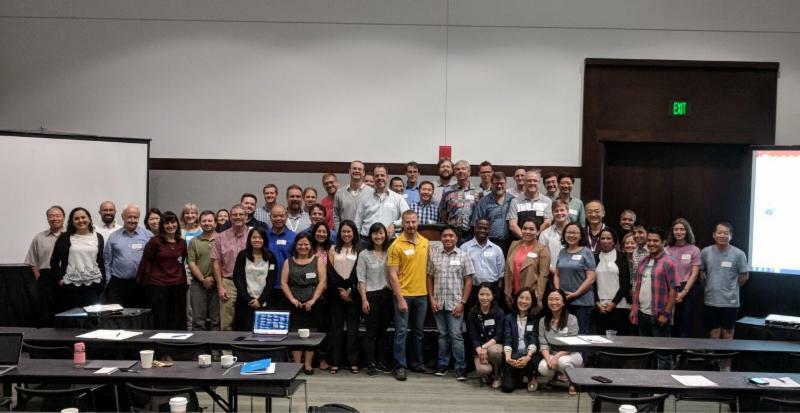 At the International Congress on Plant Pathology held in Boston in August, 2Blades organized a session focused on work advancing disease resistance traits from the lab into the field. The audience heard from speakers Nicolas Champouret (Simplot Plant Sciences), Diana Horvath (2Blades), Marc Ghislain (CIP), Leena Tripathi (IITA), and Sanju Kunwar (University of Florida) about the significant progress each has made in bringing transgenic disease resistance crops closer to market. An enthusiastic discussion followed, with one attendee asking "Why don’t potato, banana, tomato farmers have these safe, sustainable, low-tech solutions? They work!" Also at ICPP, 2Blades Group leader Dr. Peter van Esse co-organized a one day satellite meeting on how an increased understanding of the biology of rust-host interactions can inform the future of durable disease resistance. The workshop, co-organized by Professor Melania Figueroa (University of Minnesota), and Dr. Guus Bakkeren (Agric & Agri food Canada) was attended by over 50 fellow 'rusties' and examined topics such as stewardship of resistance genes, rust effector characterization, and the rust 'pangenome' project, which aims to provide reference genomes for 50 rust species - "enough data to keep us busy for a decade!". Attendees at the ICPP satellite meeting on the biology of rust-host interactions, Boston, MA. 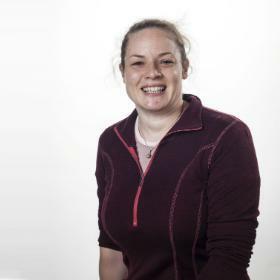 Postdoctoral research associate Dr. Kathrin Thor recently joined the 2Blades Group at The Sainsbury Laboratory. 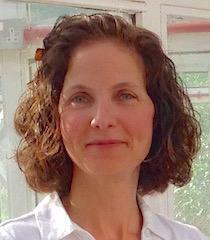 Dr. Thor has previous postdoctoral experience at ETH Zurich and University of Halle-Wittenberg. She is interested in plant immunity signaling and, prior to joining the 2Blades Group, worked with Prof Cyril Zipfel at TSL on elucidating novel components of the plant immune system. Dr. Thor is a valued addition to the team. Welcome Dr Thor! 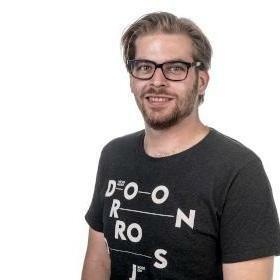 Also new to the 2Blades Group is Laboratory Technician, Mr. Ruud Grootens . He joins us fresh from graduating with a BSc Diploma from HAN University of Applied Sciences in The Netherlands and brings with him an array of experience in plant pathogen interactions and molecular biology from internships completed at James Hutton Institute, Wageningen University, and Radboud University. Welcome to 2Blades, Ruud! 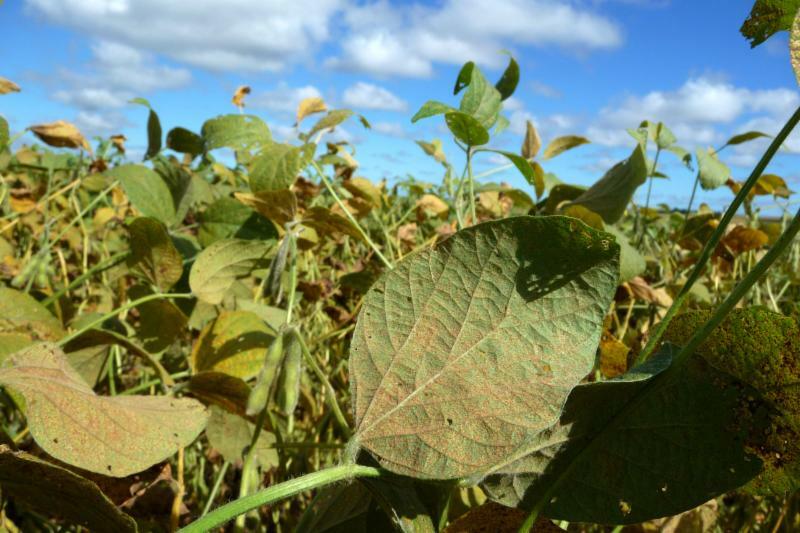 Bayer and 2Blades have formed a new collaboration to discover novel sources of genetic resistance to Asian soybean rust (ASR), a disease that is spreading rapidly causing yield losses of 10 to 80% in Argentina, Asia, Brazil, Paraguay, South Africa, and Zimbabwe. 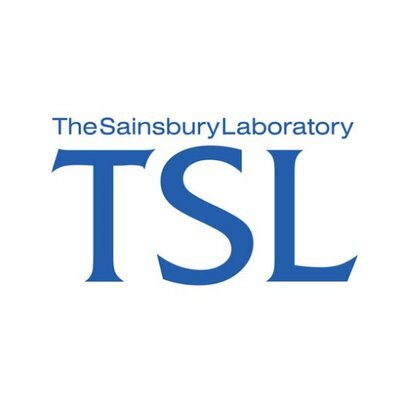 2Blades will deliver resistance genes in further collaboration with The Sainsbury Laboratory (TSL, Norwich, UK), the leading global institute for research on plant-pathogen interactions, and the Universidade Federal de Viçosa (UFV), a leading university in agricultural sciences in Brazil. Read more. A high-level roundtable discussion focusing on the impact of crop disease on global food security and the advancement of genetic solutions from the laboratory into the field.